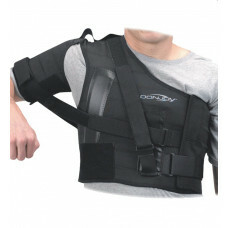 he DonJoy Shoulder Stabilizer provides shoulder immobilization and controlled range of motion for glenohumeral dislocations/ subluxations, rotator cuff tears and acromioclavicular separations. 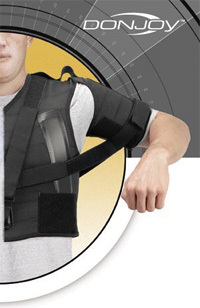 The shoulder brace is designed to protect and stabilize the shoulder post-injury and post-operatively. Designed to wear under sports protective gear, the DonJoy Shoulder Stabilizer assists in your return to activity by controlling shoulder motion, thereby reducing the risk of injury.